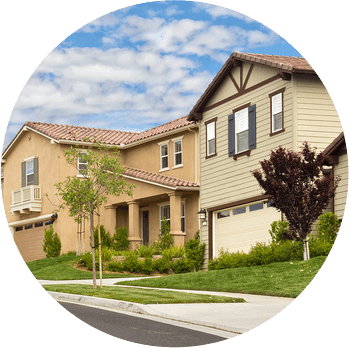 Estimate any home's estimated sale value in a matter of seconds. Quickly and easily search for your new home! Find out how much your or any property is worth in a matter of seconds with HUFF's automated valuation technology. We'll analyze public record data and combine computer decision logic to provide a calculated estimate of a probable selling price of a residential property. Quickly and easily search for your new home with the Huff Realty mobile app! The HUFF App is Greater Cincinnati's most accurate home listings to search, discover and share. In addition to the strong marketing expertise HUFF delivers locally, As a member of Who's Who in Luxury Real Estate™, a compendium of the finest residential real estate firms from around the globe, HUFF Realty connects your listing to an international network of brokers and agents in more than 60 countries representing the finest residential real estate in the world. Huff Realty's affiliated mortgage lender HomeServices Lending is located inside each HUFF Realty office, with home mortgage consultants ready to answer all your home financing questions. HomeServices Lending is knowledgeable in purchase and refinance products, including FHA, VA, conventional, renovation, jumbo, and investment property financing. 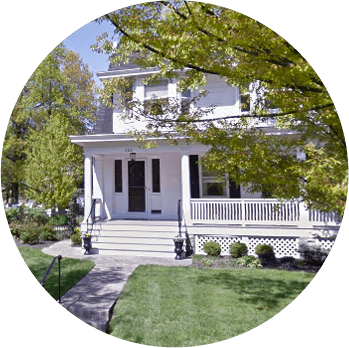 HUFF Realty is your full-service relocation solution for the Greater Cincinnati region. Looking for a career that allows you to be your own boss and set your own schedule? See what we're about. 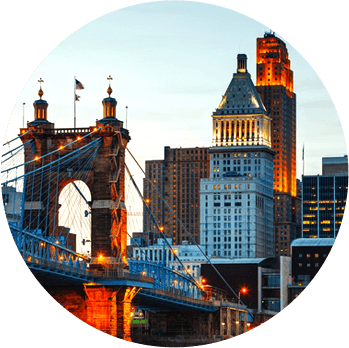 From world-class dining to major league sports, Cincinnati is a sure bet to please every interest and need. With good schools and great communities, Cincinnati real estate is a great investment opportunity for any buyer. Only minutes from Downtown Cincinnati, Hyde Park is a small, prestigious neighborhood packed with diversity. From old historic homes, to modern housing, Hyde Park offers real estate for all budgets. 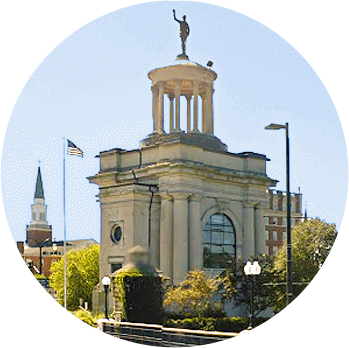 A family-centered, community-driven city, Montgomery is a true small town with dedicated citizens. 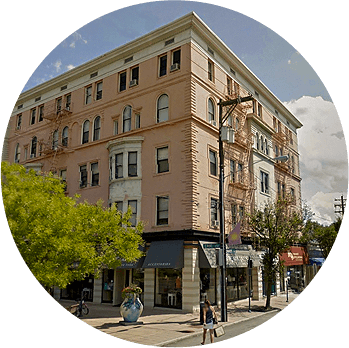 Full of quaint historic buildings, where neighbors are friendly and actively promote the community, Montgomery is an excellent place to call home. Voted one of the Cincinnati area's most livable areas, Anderson Township offers excellent schools and exceptional neighborhoods. With over 16 miles of riverfront and plenty of green spaces, Anderson Township is the perfect home for many. One of the fastest growing areas in Greater Cincinnati, Liberty Township offers a wide variety of housing opportunities, excellent schools, dynamic shopping, parks, and access to all major interstates. Located just 18 miles north of Cincinnati, many top companies call West Chester home. 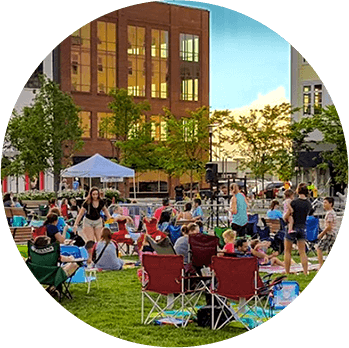 West Chester is one of the most populous townships in Ohio providing residents with great schools, entertainment, and recreation opportunities. 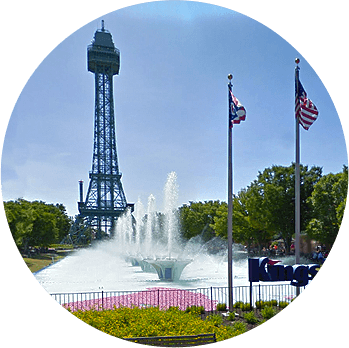 Located in Warren County, "Ohio's Largest Playground", Mason offers regional attractions that include Kings Island amusement park and the annual Western & Southern Open. Mason welcomes residents with a wide array of housing options. Fort Mitchell is a small town community with all the amenities of a big city. 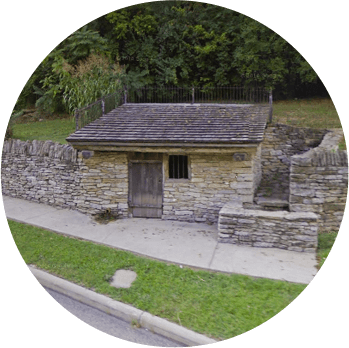 Located in the Northern Kentucky just minutes from downtown Cincinnati, Fort Mitchell residents enjoy quiet neighborhoods, serene parks, and excellent schools. 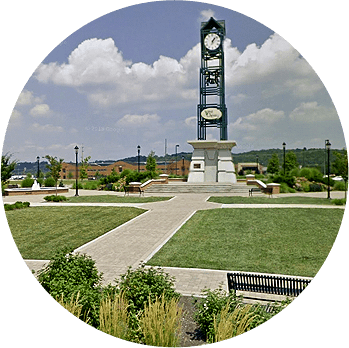 Sitting in the Greater Cincinnati area, with access to modern amenities, good schools and outdoor recreation, Florence is an excellent option for families, couples, or anyone looking for great real estate at affordable prices. 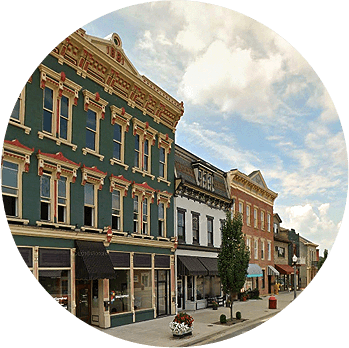 Located in Northern Kentucky across the Ohio River from downtown Cincinnati, Covington is well known for its historic neighborhoods including Licking-Riverside, MainStrasse Village and Wallace Woods as well as for it's downtown commercial district. 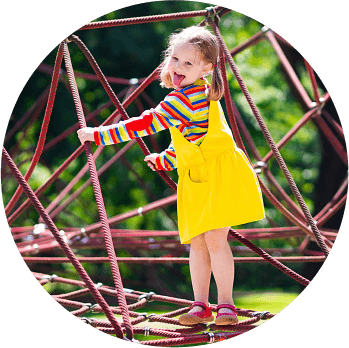 Fort Thomas is very community-oriented, with farmers markets, parks, local events and more. Just 5 miles south of Cincinnati, it's an excellent place for those looking to live outside the city but have easy access. 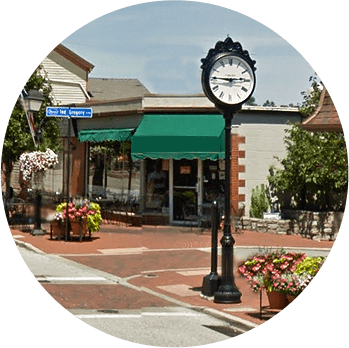 Bridgetown is located in Green Township just 9 miles west of downtown Cincinnati and is one of the top ten home selling communities in the area. 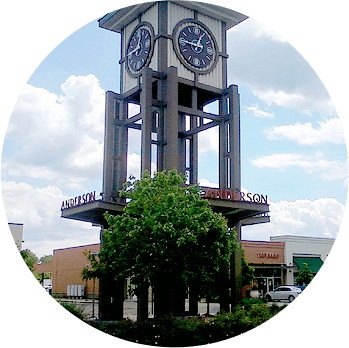 Bridgetown offers a variety of housing opportunities, shopping, parks, and the Oak Hills Local School District. Home to Mount St. Joseph University, Delhi Township remained agricultural into the mid-1900s and has since transformed from a pastoral community into a quiet bedroom community that emphasizes neighborhood and family. Hamilton is a city in and the county seat of Butler County. Known as the "City of Sculpture" it is home to the Pyramid Hill Sculpture Park. The City of Hamilton is home to a range of local and regional recreational, entertainment and cultural amenities. 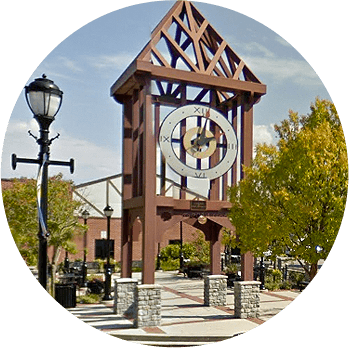 Lawrenceburg is a great option for families or couples looking for affordable real estate. 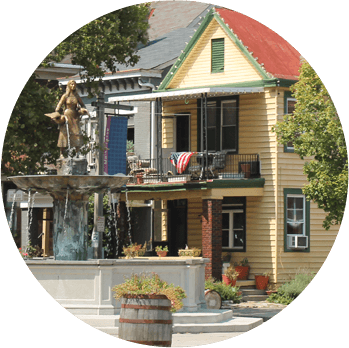 Viewed as a prime location for growth in the Midwest, Lawrenceburg is committed to a high quality of life for its residents.